Today we're happy to welcome back author Kathleen Ernst. The Light Keeper’s Legacy is Kathleen’s twenty-sixth published book. In addition to the Chloe Ellefson series, she has written many books for American Girl, including seven books about the newest historical character, Caroline Abbott. 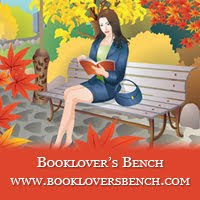 Several of her mysteries for young readers have been finalists for Edgar or Agatha awards. Threading plotlines over a multi-book arc is one of the pleasures of writing a mystery series. While each of my Chloe Ellefson Historic Sites books can stand alone, readers who follow the series in sequence see relationships grow and change. Curator Chloe Ellefson’s personal life has its share of tangles. The third book in the series, The Light Keeper’s Legacy, begins with Chloe heading off for a consulting gig and a week of much-craved solitude on a remote island. By the end of a harrowing week, she’s ready to admit that sometimes, solitude ain’t all it’s cracked up to be. 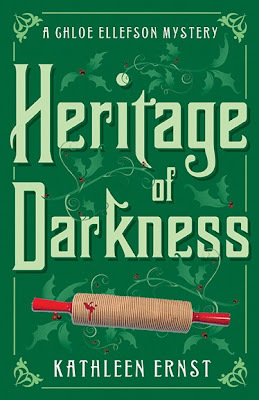 The next book, Heritage of Darkness, allows her to make good on her vow to improve family ties. Chloe’s relationship with her mother is polite, but distant. Mom is a renowned practitioner of rosemaling, a decorative form of Norwegian painting. 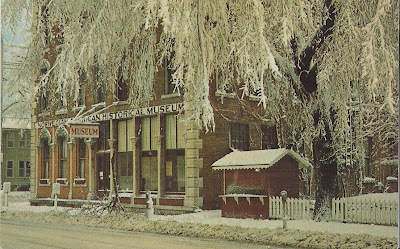 When Chloe spots an ad announcing classes at Vesterheim Norwegian-American Museum in Decorah, Iowa, she impulsively suggests that she and Mom sign up for concurrent advanced and beginning classes. Even better, Chloe’s cop-beau, Roelke McKenna, decides to tag along. What could go wrong? A lot, of course. Chloe is mortified when Mom subjects Roelke to a not-so-subtle barrage of anecdotes about love and marriage, Norwegian style. Chloe pinned him to the wall with a look that had gone from stunned to mutinous. He stopped talking. Mom compounds the tension by volunteering Chloe for a folklore project that involves interviewing elderly Norwegian-Americans about Christmas customs and traditions. Roelke felt something crackle in the air like electricity before a storm. And at that moment, he realized that he was a complete and utter moron. Why had he thought he could help ease tension between Chloe, who he was only beginning to understand, and her mother, who he barely knew? What had possessed him? On one level, Heritage of Darkness is a traditional mystery about a murdered painter and the dark roots of now-cozy holiday traditions. However, it’s the personal relationships that provide emotional connections for readers. I think many adult women will relate to Chloe’s efforts to forge a stronger bond with her mother. I might have chosen to end the book with Chloe and Mom reaching a place of perfect harmony…but I didn’t. It would feel unrealistic if Chloe’s relationship challenges were completely resolved. Progress is made, but there’s still room for discovery and growth. Besides, where would that leave me for the next Chloe Ellefson mystery? I have lots of ideas about Chloe’s changing relationship with her mom. (There’s Chloe’s relationship with Roelke to develop, too.) Stay tuned! For curator Chloe Ellefson, a family bonding trip to Decorah, Iowa for rosemaling classes seems like a great idea—until they start driving. Chloe’s cop boyfriend Roelke takes her mom’s talk of proposal ideas good-naturedly, but it causes Chloe’s emotional distress to increase with each passing mile. After finally reaching the Vesterheim Museum, Chloe’s efforts to remain positive are slammed shut when she and Roelke find Petra Lekstrom’s body in one of the museum’s antique immigrant trunks. Everyone is shaken by the class instructor’s murder, and when her mom volunteers to take over Petra’s class, Chloe is put in the hot seat of motherly criticism. As she investigates, Chloe uncovers dark family secrets that could be deadly for her mom—and even herself. Since I was a little girl, I have been fascinated by Great Britain and its history, probably at first because it was a country with a real queen and princesses. Later my interest developed into a desire to learn more about the history, and I read as much as I could. I first visited Britain with my parents in 1985, and was awestruck by everything I saw. I was overwhelmed when visiting the Shambles in York, formerly a street of butcher shops, which was renovated in the 1400s! I pressed my hand against the stones in Conwy Castle in Wales, thinking of all the men and women who had passed through those passageways over the centuries. What were their dreams, desires, fears? But the most poignant experience occurred during our visit to St. Paul's Cathedral in London. Behind the main altar in this magnificent edifice is a small alcove dedicated to the men and women of the U.S. Armed Services who fought for the defense of Britain during World War II. My dad had tears in his eyes. He had been there and he had returned. Not everyone did. I visited the Churchill War Rooms, the vast underground complex in London from which Prime Minister Winston Churchill directed operations during the years that Britain fought against Germany. I crossed the Thames to the Imperial War Museum, housed in the former Bethlem Royal Hospital, London's first hospital for the mentally ill, and the origin of the word "bedlam" meaning "chaos" or "madness." This museum brings alive the suffering and heroism of victims of wars since World War I. One exhibit in particular always brings a tear to my eye. In an unassuming spot on the main floor is a small wooden fishing boat, the smallest boat to cross the Channel in the evacuation of Dunkirk in 1940. 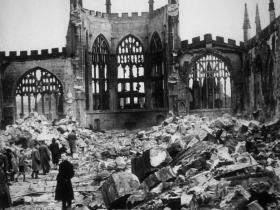 In Coventry, I visited the ruins of Coventry Cathedral, bombed by the Germans in 1940. Since that terrible night, the cathedral has become a symbol of peace and reconciliation. 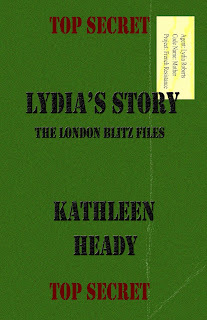 Eventually, I decided to write Lydia's Story, in which I recreated the connection between a young woman and her ancestor, in this case her great-grandmother, who worked in her own way to defend her country during World War II. Whether visiting historical sites or relaxing in one of London's many parks, I always travel with my eyes open. I always remember that I am a guest in someone else's culture, and that we have more in common than differences. I have returned to Great Britain several times after my initial visit with my parents, and my love for the country and culture has not faded. A simple box of mementos, hidden in a farmhouse in Wales for nearly seventy years, is enough to set Nara Blake on a search for the truth about her great-grandparents, and to put her own life in danger. Even as she begins to read her great-grandmother's diaries, a French brother and sister, whose family lost everything in World War II, blame Nara's family for their lost wealth, which includes a priceless Cézanne painting. As both families learn the truth of their ancestors' activities during the war, they are put on a collision course that can only end in the destruction of long-held beliefs, and ultimately one must pay the price for the losses of the past. 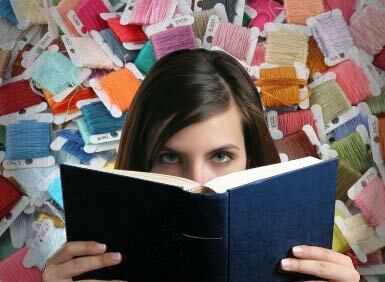 Are you one of those “all thumbs” women when it comes to any type of sewing? Do you spend too much money at the dry cleaner whenever a hem falls because you can’t thread a needle, let alone hem a skirt or a pant leg? You can repair a fallen hem yourself, and you don’t have to hunt for a needle and thread to do it. Just purchase a roll of fusible web tape (available at all fabric stores and most discount and craft stores.) Cut a piece of web the length of the area that needs to be repaired. Slip it between the fabric layers and iron according to the package directions. Summertime is salad time. When it’s hot, no one likes to heat up the kitchen, and sometimes (more often than not here in New Jersey in August when it’s not only hot but humid,) it’s even too uncomfortable outside to stand over the grill. We’ve featured many scrumptious salad recipes over the past few years here at Killer Crafts & Crafty Killers, but my favorite salad is a Chop Salad. The secret to a Chop Salad is cutting all the ingredients into very small pieces. That way the flavors all meld together. With each mouthful you don’t taste lettuce or tomato or cucumber but a unique mélange. You can make a chop salad from any salad ingredients you have on hand. There’s no one right way and no wrong ways. The salad pictured is made up of some of my favorites: romaine lettuce, zucchini, cucumber, tomatoes, avocado, and goat cheese drizzled with a Champaign vinagrette. Sometimes I add in a handful of dried cranberries and slivered roasted almonds. Be creative. Choose your own favorite veggies, fruit, cheese, and dressing, and chop away! Making a quilt is more than just making a bed covering to keep you warm at night. It’s about expressing yourself through the art of sewing. Quilting is an inspirational and creative craft that allows you to create wall art, comfort a sick child or adult, travel and bond with other quilt makers, create a source of income and more. Discover the joys and benefits of quilting by looking at the sewing craft through the eyes of adventure. Express your own individual taste by creating a quilt to hang on the wall of your home. A handmade quilt can be made any size and any color to perfectly fit into your unique living space. A full size quilt often is the perfect solution to add color and texture to the large, open wall space in homes with high vaulted ceilings. Mini-quilts can be handcrafted to tell a family story, and/or matted and framed to become a priceless heirloom. When friends come to your home and see your unique wall art, they will be requesting their own unique pieces and a business can be born. A personal touch of a hand-crafted lap quilt will bring comfort and warmth to a sick child or adult. 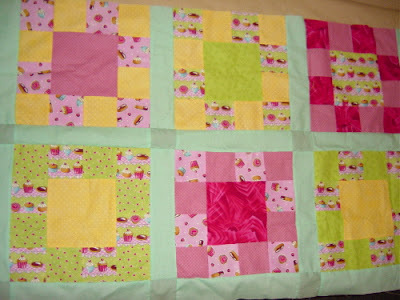 A medium sized quilt, just right to fit over the top of a hospital bed or across the lap of someone who is ailing, will benefit both the giver and receiver. Taking your time to create a unique quilt for someone who is sick will minister to both you and the recipient on many different levels. A handmade quilt gift does not have to be reserved for the sick only but would also make an outstanding gift on many occasions. A wedding gift, baby shower gift or as something unique to give to a college-bound teen. A quilt can be made to suit the recipients, the occasion and still allow the creator to express themselves through their sewing talents. Quilt shows and workshops occur regularly all across the U.S. and are usually open to the public. Quilt makers can and should travel to various venues, near or far, and meet like-minded seamstresses and form bonds of friendships. These events allow for displaying and selling your handmade quilt items, learning new sewing techniques and gaining new ideas for future projects. You never know who you might meet at such an event and a new business venture could be formed along with a new friendship. Immersing yourself in the quilt-making process is therapeutic. Shopping for fabric, selecting the design, cutting and sewing, the whole creative process keeps the mind and body active while relieving stress. Quilting can be done seated or standing, so no matter what fitness level you’re at (or hope to be at), you can adjust to doing most of the work in whatever way suits you. Quilts aren't only for covering beds—you can cover a multitude of household objects with quilts to make a decorating statement. A couch back, chair, ottoman or table top can easily be covered with a quilt. Cover a window, shower curtain liner or create a room divider with a lovely quilt. Look around your home for creative and inspirational ways to use quilts, and you'll never be left bored or wanting for more. Most creative people are creative in more ways than one. I know writers who compose music, musicians who stitch quilts, textile artists who throw pots. For my part, I write, I take photos, and I paint. Mostly I work in watercolor, sometimes combined with ink, but I occasionally work in oils, and I love colored pencil. 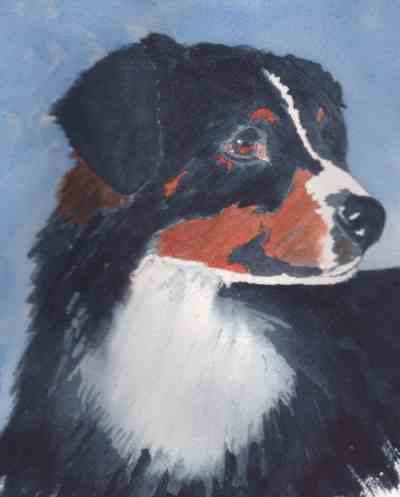 Although I’m best known for my dog portraits, I paint other subjects as well. Writing and painting engage different parts of the brain, and the processes complement one another. Here are three lessons I’ve learned about dividing my time between the two modes of expression. ~Taking time out of my word-intensive work life to paint makes the writing come more easily. This makes sense, of course, because while writing and painting both create images, “painting” with language and painting with pigment engage different parts of the brain. I often work out plot and character and other writing issues while I’m painting, and I often have flashes of paintings I’d like to do while I’m writing. ~My photos are mostly of nature—landscapes, animals of all kinds, other interesting outdoorsy things. To find my subjects, I often have to walk fair distances. Getting out in the open and immersing myself in natural environments, helps my writing in several ways. The physical activity away from a keyboard stimulates my subconscious to work out elements of story. Encounters with wildlife and with interesting plants reinforce my sense of my small place in the world. And sometimes something happens that inspires a story or a scene in a story. As I wrap up the third Animals in Focus mystery, I find that working in other media not only support my inspiration and craft, but also remind me that Janet, my protagonist, is herself an artist, the camera her tool, and the image her creative expression. Like creative characters in and out of written stories, she brings a different way of seeing to her life and to her sleuthing. I wonder whether she has as much dog hair in her camera case as I have in my palette? 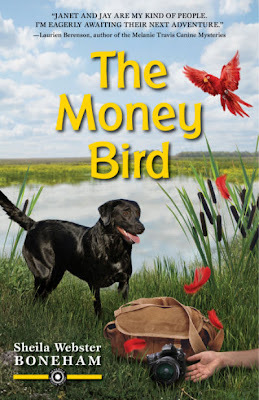 Animal photographer Janet MacPhail knows that trouble is in the air when Labrador Retriever Drake fetches a blood-soaked bag holding an exotic feather and a torn one-hundred-dollar bill during a photo shoot at Twisted Lake. One of Janet's photography students reports seeing a strange bird at the lake, but he turns up dead before Janet can talk to him. When she learns that the mysterious retreat center near the lake is housing large numbers of tropical birds, Janet is sure there's a connection and decides to investigate between dog-training classes, photo assignments, and visits to her mom at Shadetree Retirement. With help from her Australian Shepherd Jay and her quirky friend Goldie, Janet is determined to get to the bottom of things before another victim's wings are clipped for good. 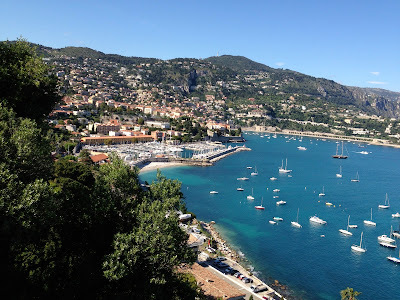 Today author Lois Winston and I continue our tour of the Mediterranean with a stop in Eze, France. 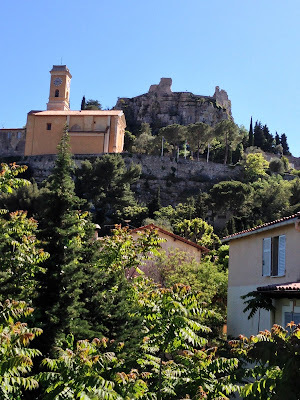 To get to Eze, you climb up what Stephen Liégeard, who coined the expression “Côte d’Azur,” called the “golden braid of its black bodice.” Luckily, we were warned ahead of time to wear suitable footwear. 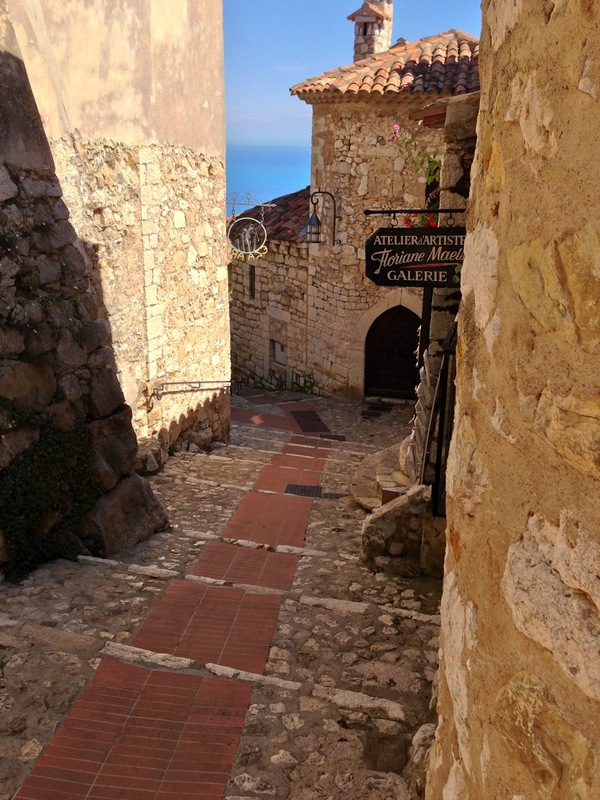 Perched high above the French Mediterranean overlooking Villefranche and not far from Nice is the and the small medieval village of Eze, built into the cliffs and renowned for it’s charm. 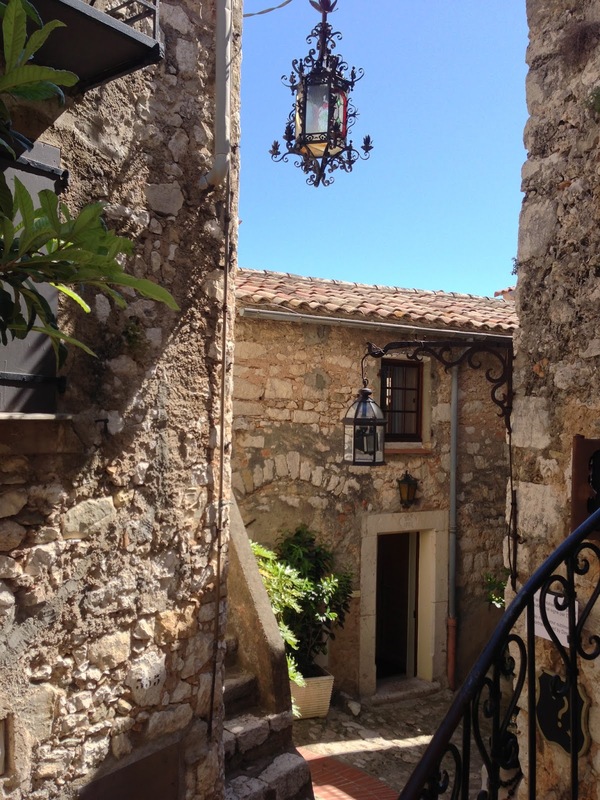 Although the oldest building, the Chapelle de la Sainte Croix, dates back to 1306, the area was first populated around 2000 BC. Some believe the village’s name heralds back to its Egyptian roots and the temple to the goddess Isis erected by the Phoenicians. Over the years, the area was occupied by first the Romans, then the Moors. Eze fell under the jurisdiction of the House of Savoy in 1388 before being taken over by the French and the Turks two hundred years later. It wasn’t until 1860 that the people of Eze unanimously decided to become part of France. Today Eze is a museum village with few people actually living in the village. 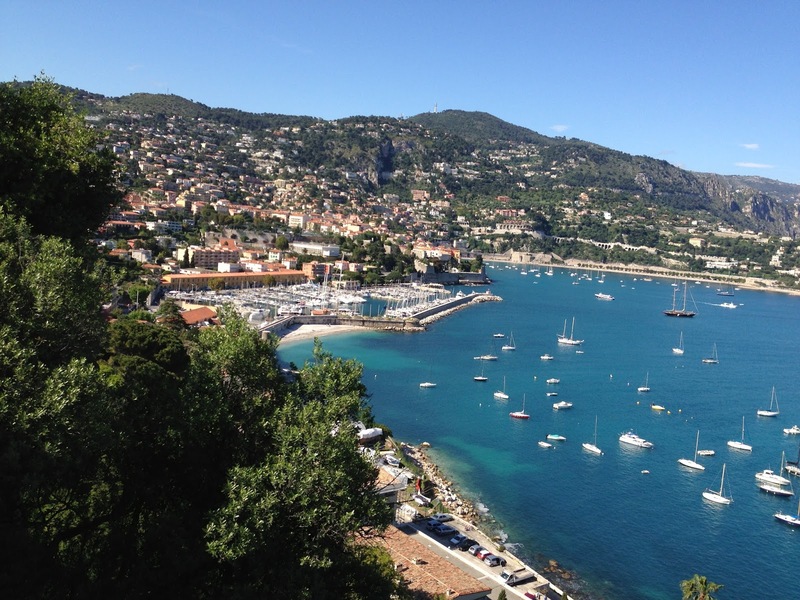 Instead, you’ll find shops, galleries, hotels, restaurants, and the cacti and succulent Jardin botanique d’Eze. We’ve previously featured a few tips for using that ever-so-humble tool, the safety pin, and today we have yet another, plus a fun fact. Most women are familiar with the term “pin money.” Merriam-Webster offers three definitions: money a husband gives to his wife for her own use, money set aside for the purchase of incidentals, or a small amount of money. 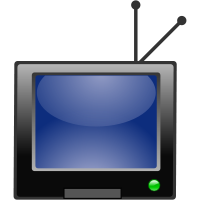 Webster’s also goes on to state that the first known reference to the term was in 1697. However, other evidence suggests the term actually dates back to the 14th century and refers to the budget a husband gave his wife in January for the year’s mending, which included the cost of the pricey precursor of today’s safety pin. If you’re like me, you have a devil of a time cleaning dried garlic from your garlic press. This task becomes much easier if you keep a safety pin in your utensil drawer and work the point through the holes and into the corners of the press. 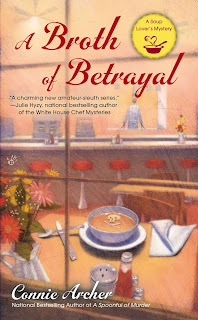 The soup lover’s mystery series is set in New England, in the imaginary village of Snowflake, Vermont, where, at the By the Spoonful Soup Shop, the restaurant’s talented chef creates fantastic recipes. When I first started to choose recipes for this Vermont location, I couldn’t help but think about the history of food in New England and the struggle of the first settlers to survive. The original Puritans were people of modest means who endured months of a harsh crossing of the North Atlantic. They carried only the most basic foodstuffs: dried peas and beans, salted dried meats, oatmeal, salt, flour, and hard cheeses. Water on board ship was contaminated, so beer was the only drink, even for children. Atlantic storms made it impossible to stay dry and even more difficult to prepare hot meals. The only method of cooking was to fill boxes with sand in order to safely build a small fire. The size of the ship and lack of sanitation made it impossible to transport large animals, but the colonists were able to bring poultry, goats, and pigs. They carried seeds as well -- of corn, wheat, barley and pea to establish vegetable gardens in their new land. Herbs were available but needed to be saved for medicinal purposes. Once on land, there was plentiful seafood and wild game: fish, lobster, duck, squirrel, rabbit, turkey, swans, geese and deer. 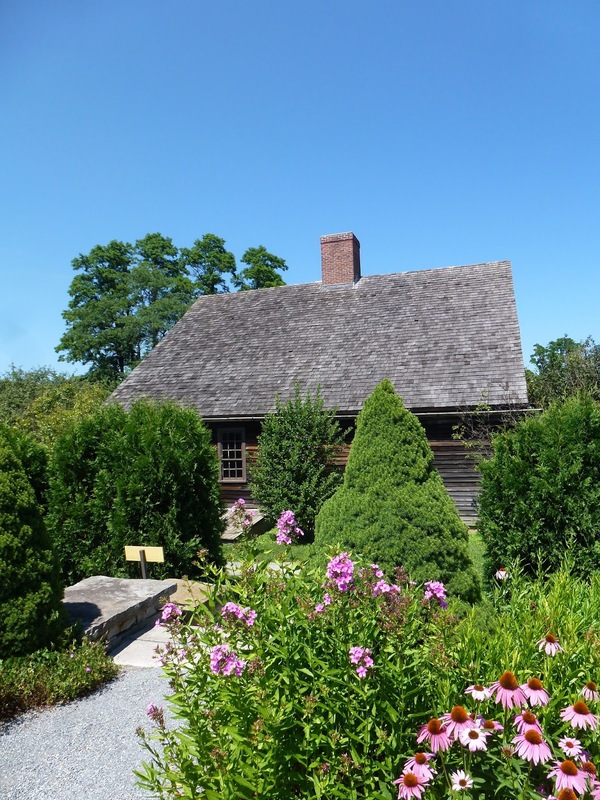 Eventually, these early settlers were able to grow corn, turnips, onions, garlic, carrots, parsley, sage, and thyme. Fruit and nuts were abundant in season -- strawberries, gooseberries, raspberries, blueberries, wild grapes and chestnuts. An early record even recounts the eating of eagles, a sad commentary on our national bird. In fact, the Pilgrims ate just about anything that crossed their path. Prepare all the ingredients above before beginning to layer them in the pie shell. Melt the butter in a saucepan and add the mustard, mixing well. 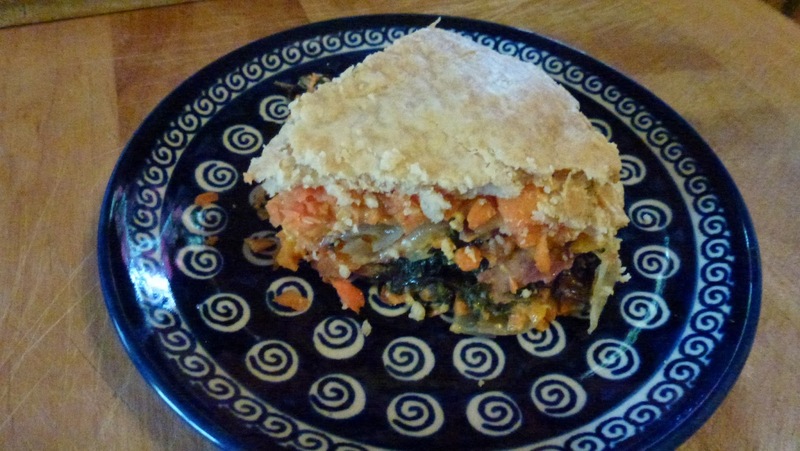 Combine this mixture with the shredded carrots for flavor. 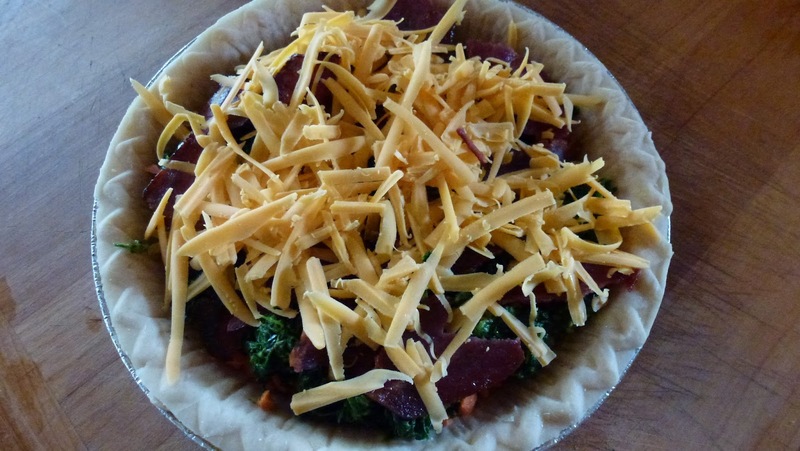 Place 1/3 of the cooked and sliced onions in the bottom of the pie shell, then add additional layers as follows: 1/3 of the spinach, 1/3 of the cooked bacon, 1/3 of the carrots, and 1/3 of the shredded cheese. 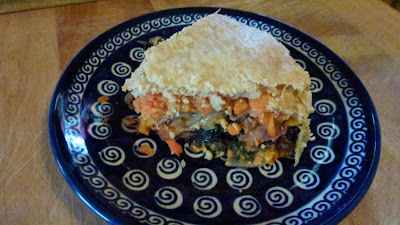 Continue to add layers of onion, spinach, bacon, carrots and cheese until all the ingredients are used. 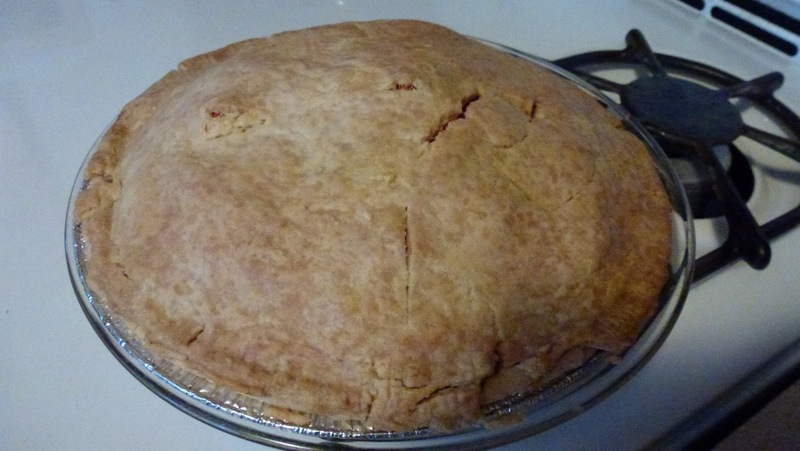 Cover with the top pie shell. Coat with butter or egg white. Make slices in the top crust to let heat escape. Bake at 350˚ for 45 minutes. Stir together flour and salt, cut in butter until the mixture is the size of small peas. Sprinkle 1 tablespoon of water into the ingredients and gently toss with a fork. Repeat until the dough is sufficiently moist. Divide the dough in half and roll out on a lightly floured surface until each piece forms a circle about 12” in diameter. And you can even join the Pilgrims for dinner. If you would like to read more on this subject, follow this link to the Plymouth Colony Archive Project: http://www.histarch.illinois.edu/plymouth/mourt1.html. Written between November 1620 and November 1621, it describes in detail events from the first landing at Cape Cod, through the exploration and eventual settlement at Plymouth and relations with the surrounding native Americans. 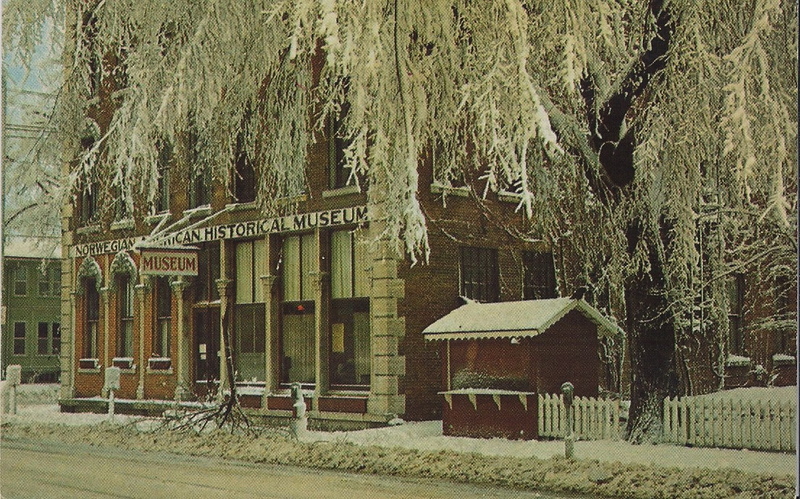 Snowflake, Vermont is an old town with roots as deep as the earliest days of the American colonies. And, like any other place on earth, it has its secrets, secrets that have lain buried for years, even centuries, until they erupt . . . in murder. Two men fall victim to a murderer and a woman disappears. 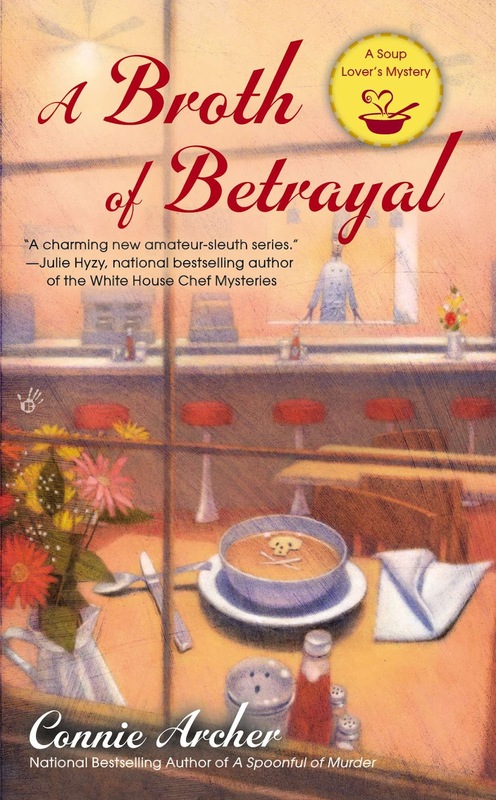 Lucky Jamieson, the owner of the By the Spoonful Soup Shop is convinced the missing woman is the key to the mystery, but can Lucky find her before the town discovers another victim? When I was four years old, my dad built a dollhouse for me. It was probably a kit and wasn't to scale - 1inch to 1 foot is the traditional scale. The furniture was plastic and is all long gone. My mother kept the dollhouse even through three moves, the last being to my parents' retirement in Sun City West, Arizona. Decades later, too many to divulge, my husband and I visited my mother. I asked her if I could ship the spinning wheel that had been my Swedish great grandmother's back to Chicago. It had always been displayed in our homes, but was now in the garage. When I went out to look at it, I spotted the dollhouse just sitting there. With the help of UPS, I had both of them shipped back to me. I had no idea what I'd do with the dollhouse but had to have it. Seeing it again gave me shivers and took years off my life, alas not permanently. Here in Chicago, we have two of the most famous miniatures, the Thorne Rooms at the Art Institute and Colleen Moore's Fairy Castle at the Museum of Science and Industry. And famous dollhouses are located all over the world, including Queen Mary's in Windsor Castle. But this is the story of my dollhouse and some of my other projects. I'll admit right off the bat that I'm pretty good at creating the exteriors and interiors, but I'm not on the level of the three houses I mentioned above. The important thing is that I'm proud of my work, and I love doing it. In restoring this house - named Hazelcliffe because it sat on a stand overlooking the street we lived on at the time, Hazel Street - I stuccoed the exterior in white, painted green shutters, and bricked the outside chimney. The original was white with green ivy painted around the windows, so I wanted to respect the original colors and design. Then I went crazy on the interior. Building and decorating miniatures became an obsession. I dragged my husband to miniature shows in the suburbs, we went into every miniature shop I could find wherever we traveled. 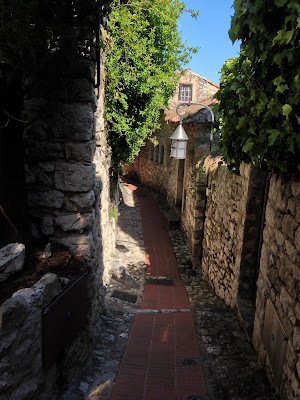 I was in my own kind of holy land whenever I found something tiny that I could use. You don't have to spend lots of money or even any money. You can make lampshades from creamer containers from restaurants. Flower pots from toothpaste tops, furniture from twigs I picked up from the ground in Lincoln Park. I bought a whole bag of grout just so I could brick the chimney on Hazelcliffe and put down a slate floor for a patio. There's a gigantic cabinet in our second bedroom full of paints and brushes, little plastic boxes to be used for whatever is needed, miniature landscape materials, small silk flowers, grasses, pebbles, cloth and ribbon, and wood pieces for moldings and flooring. You name it, I probably have it in stock. A true miniaturist is always looking at the tiny, the small, the cute. You may notice that I name every project. 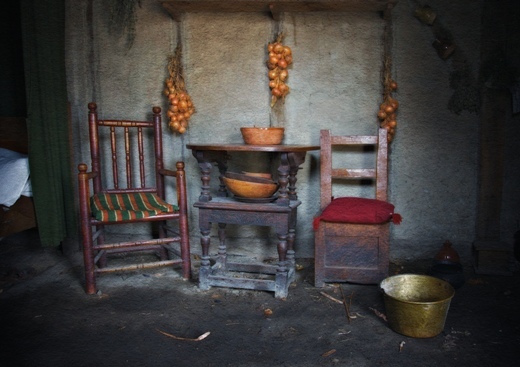 Havens are a little vignette of a comfy chair and a table inside a small basket. They're a cozy setting to curl up and read while snacking on wine and cheese or cookies and milk. Each Haven also has a plant and a dog or cat. In fact, all my houses and rooms have a dog. I was always on the lookout for cute small baskets -- and I still am. 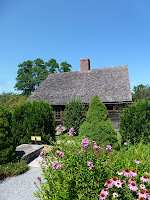 Several years ago, I spotted an announcement from the Chicago Botanic Garden in Glencoe, Illinois, a contest for the best container garden, the first prize a trip to England. My juices were flowing. I bought a large basket and created Canyon Verde Ranch. Three kinds of teeny cacti were planted in half the basket, the other half was the patio. Kidney beans are the cobbled stone floor, chairs were made with jasmine twigs, additional cacti made from clay, and some other purchased art items. 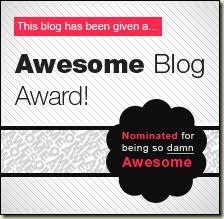 I still don't know why I didn't win. Once you enter into the miniature world, you're hooked. In our small condo, we have dollhouses and room boxes all over, on stands, hanging on the wall. We finally covered the front openings with Plexiglas so that I didn't have to dust the interiors, not that I did that very often. Instead of going on and on about my projects, I thought I'd just show you some of my other others. My husband has been my cheerleader, helpmeet, woodworking teacher, and very importantly, my electrician through all this. Many of my rooms have floor and table lamps, wall sconces, and chandeliers - all electrified. He also built me a huge worktable in our second bedroom that is more than large enough for projects and supplies. And I'm not alone in my own collections of dollhouses and life-size books, figurines, and art pieces. He collects chiming clocks, and we have eight in the living/dining room. So both of us understand how our interests and collections enrich our lives. I also love to design silk flower arrangements. 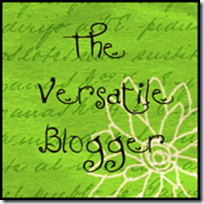 As this blog, Killer Crafts & Crafty Killers, attests, authors aren't just writers. The creative bug has burrowed down deep inside us, and we wouldn't shake it out even if that were possible. You can see more of my mini projects here. As you'll probably note, I also write sensual romance novels, novellas, and short stories.